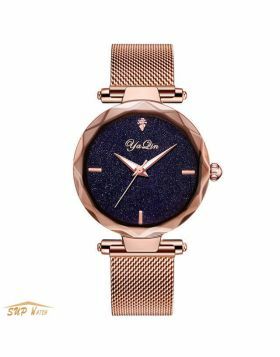 This beautiful women's rose gold watch inspired by the vast sky, giving a very strong visual impact, I believe you will love it at a glance. 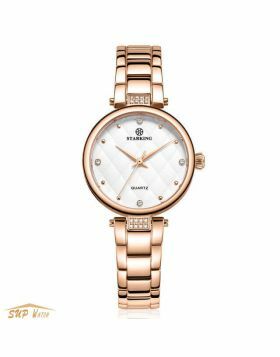 This women's watch features a rose gold-tone stainless steel 26mm case, with a fixed rose gold-tone bezel, a blue dial and a stainless steel strap,it is the perfect accessory for function and style. 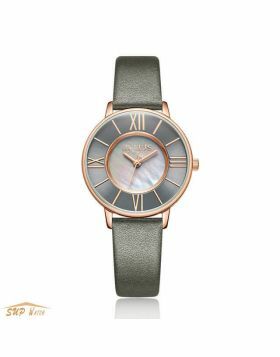 This stylish women's wristwatch is powered by a japan Quartz movement, and is water-resistant to 30 meters / 99ft. 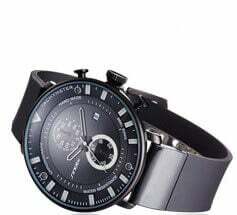 suitable for short periods of recreational swimming, but not diving or snorkeling. 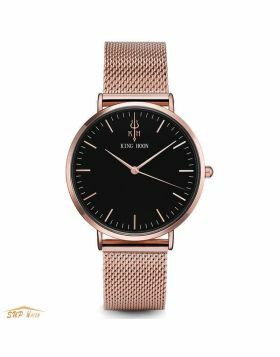 Slim design, both shock resistance function, very durable, suitable for any occasion to wear.